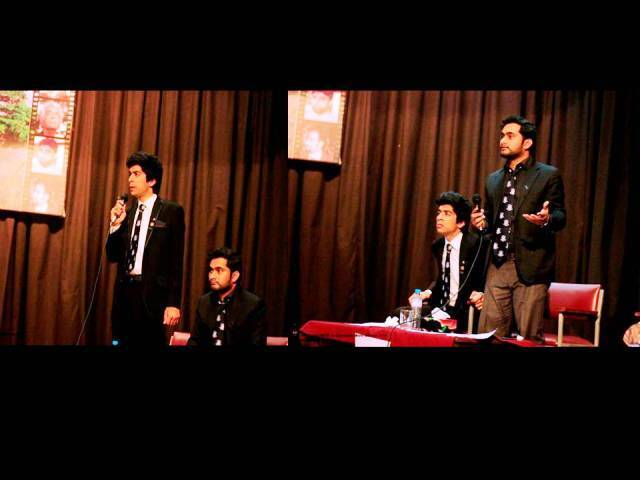 FCC was represented by Formanites Debating Society at the 19th All Pakistan GCU Parliamentary Style Debates. The debaters participated enthusiastically in the championship and made clear and rational arguments throughout the debating sessions. In English category, three teams represented FCC. Team A consisted of Muhammad Adeel and Omer Imran, they made their way to the final match. Team B had Basam Cheema and Qurat Ul Ain who proceeded on to speak in the semifinal match. Team C consisted of Momin Niazi and Tehreem Fatima who also broke into semifinal match. In Urdu category, four teams stood up to show their oratory skills. Team A had Ahsan Ali and Uzair Khan who broke into the semifinal match. Teams B, C and D included Ahsan Rashid and Rizwan Saleem, Shayan Shaukat and Adnan Warraich; and Hafeez Ur Rehman Hadi and Waqar Karim.